First time poster here. I'm very curious about this particular thing in the video. In the beginning, the effects where it says the photographer's name. How does one accomplish this with ProShow Producer? Also after a couple of seconds.. there's some lights effect where it says 'Holy Matrimony...... Church' Also very curious on how to do it? Not trying to copy their style, just want to know how to do it so I can expand my own... I just need to know the right tool.. Thank you for your help. Was this show done with a proshow product ? For the photographer's name you could use a transparent png with the text and then use some blur and stretch the x value to achieve the effect. That part is doable. I've done this before, and it looks good. For the light rays, it almost looks like a generic video with an alpha layer, which you would then put on top of the text png layer. Thanks Tim.. I'll try your suggestion using a transparent png. For the light rays... what do you mean with alpha layer? And which program do you use to achieve it? Thanks. juicedownload wrote: For the photographer's name you could use a transparent png with the text and then use some blur and stretch the x value to achieve the effect. That part is doable. I've done this before, and it looks good. The video doesn't look that good, so that's why I think they found some pre-made video that works for most text. The alpha layer allows the light rays to be visible as a top layer with the text underneath. In other words, you'll see the light rays and anything underneath the video layer is visible. I think it can be done with a gradient layer (Preset: Special Effects, Type Angular). Play with the opacity of each ray. Make it a square and use modifiers to achieve the quick rotation. If you create the title as a png, then you can place the rays on top of it. If the titles are created by means of simple captions in Producer, it cannot be done, because the captions are always placed on top of everything else in Producer, by default. I wish we could have more options of playing with captions in Producer, and of creating such nice effects. Mona you pretty much nailed the concept. You can probably get this looking much better than this example. I just did this one in a hurry. It's a VERY rough first try. I didn't provide exact steps, just the basic things used to create the effect and what needed to be tweaked. This is NOT perfect by any means. With more work, it's certainly doable. I'm just not interested in fiddling with it any more right now. The modifiers were set by trial and error as I'm not an expert in those either. But I thought this was fairly decent on first try. The mask arrows need more tweaking as the rays are too thick, not delicate enough IMO. I didn't use a png file for the caption - just 2 separated layers so as to make the fonts different. It looked to me to be behind the caption anyways. On another note, if one wanted to stretch the title that comes before that flashy effect, then yes, that has to be a regular layer because there's no way to unlock x and y for a caption to make it do that. A slightly different way must be used to reveal the title in that case. I don't think that you need two layers of gradient. When I mentioned opacity, I was referring to the opacity settings in the gradient itself. I used something similar in my Shake and Bounce Slide Styles, (last style to appear) and it came out pretty well. But there I wanted to illuminate the whole screen, like a Disco effect. I also used a similar effect in my Christmas styles, to create the light on the star above the Christmas tree. It's a nice effect, and easy to play with it. Just replace the red and pink with shades of white/offwhite/yellow and you are done. If you also move a bit the rotation center downwards a bit, it's very effective. Last edited by cherub on Thu Feb 24, 2011 10:08 pm, edited 1 time in total. I used something similar in my Shake & Bounce styles, (last style to appear) and it came out pretty well. But there I wanted to illuminate the whole screen, like a Disco effect. You're right, it's much easier to fiddle with one layer if using the special gradient with built-in transparency. But the special ones come with a color even though parts of them are transparent. After viewing the original a few more times, I wonder if I selected the wrong gradient! I fiddled a bit with the color arrows to change them and try to skinny up the rays but the end result o my attempt is just so-so compared to the original effect. I think it can all be done in Producer except the stretching of captions in the beginning. That twirly thing looks to me like it's behind the caption. I'd have had the sample up sooner but something went haywire with the upload. The example is 35 seconds long. No matter how many times I tried to upload it (via pre-rendered web px file), it would only upload the first 14 seconds even though it said it was a 35 second show in the description area. Very weird. I retried rendering and uploading it at least 4 times and still had the same problem So I decided to render it as a share show instead of a web show and that worked. I've never had that kind of trouble before. It only displayed about 2 seconds of the long descriptive slide at the end that is actually 20 seconds in length, then just faded out like it was finished. Last edited by debngar on Mon Jan 03, 2011 9:40 pm, edited 1 time in total. That's the one I used but I was wondering if it could be the darker blue one on the top row, 4th from the right instead. Either way don't you think the rays need to be thinned down a bit? That takes some trial and error for me. debngar wrote: That's the one I used but I was wondering if it could be the darker blue one on the top row, 4th from the right instead. Either way don't you think the rays need to be thinned down a bit? That takes some trial and error for me. I don't know about the blue one. Could be too, but then you would need to fiddle with it too. It takes some time to come up with the right combination of number of rays, colors, thickness and transparency. But when you do have the right "formula" then it's really fun to work with it. Gals, I think I have the background sparkle but I don't know how to put a mask over a caption to create the fade in effect. The sparkle is just my standard .png and I lightened the transparency and set it to rotate. Speed would need to be adjusted according to length of the title and the look desired. I would be glad to send anyone the sparkle.png file or post it somewhere for common download. How do you get the mask over the top of the caption? Can you make a mask in Proshow for a caption like you can a layer? just4fun wrote: Gals, I think I have the background sparkle but I don't know how to put a mask over a caption to create the fade in effect. The sparkle is just my standard .png and I lightened the transparency and set it to rotate. Speed would need to be adjusted according to length of the title and the look desired. I would be glad to send anyone the sparkle.png file or post it somewhere for common download. How do you get the mask over the top of the caption? Can you make a mask in Proshow for a caption like you can a layer? You cannot put a mask on a caption made in Producer, as explained in the first posts in this thread. The captions in Producer are not a layer, and they always appear on top of everything else, by default. You can make a transparent image file (a png file) with your title, in Photoshop, and then insert it in Producer. 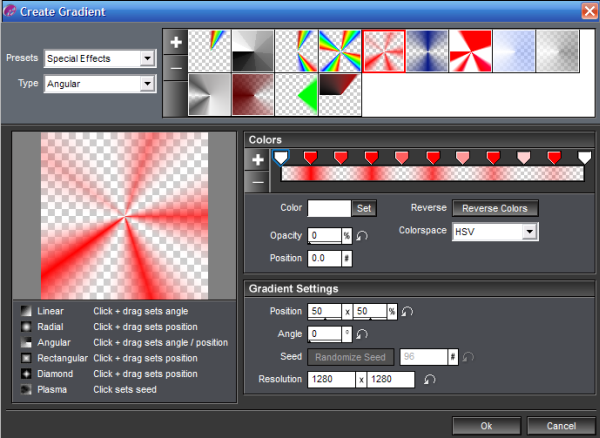 You can then use Producer to blur this image with the title, to change dimensions, and to partially hide with a mask.